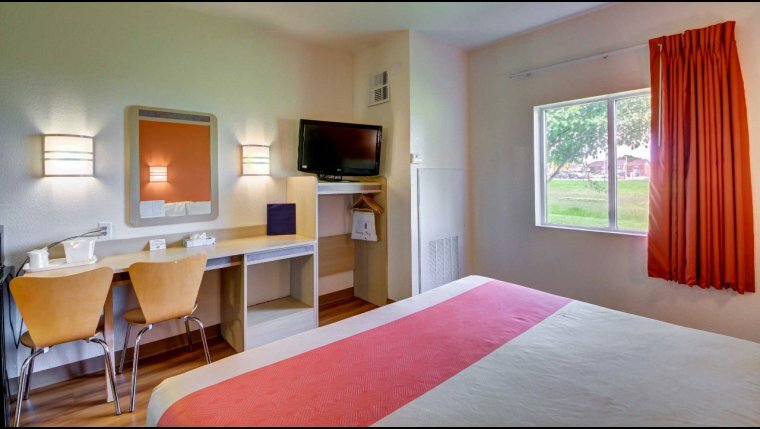 The guest rooms at the Motel 6 in El Reno include a microwave and mini-refrigerator for guests' convenience. 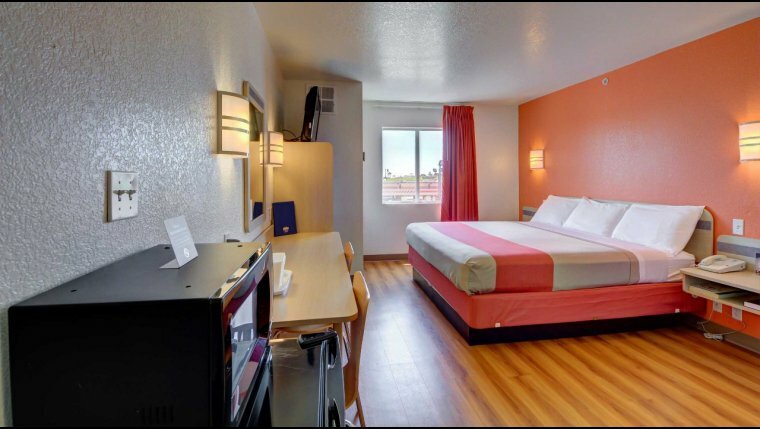 Both smoking and non-smoking rooms are available as well as rooms with king and queen size beds to accommodate your needs. 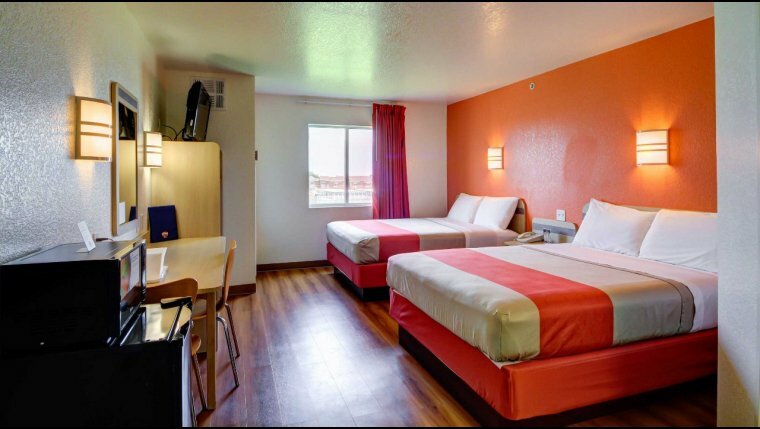 This Motel 6 is located near several restaurants and only a short drive from Lake El Reno. During your stay, enjoy the seasonal outdoor pool where you can cool off during the hot summer months. WiFi is available throughout the building so you can stay connected, and the expanded cable package in each room ensures there's always something on television. Rooms start at $72 per night. While every effort has been made to ensure the accuracy of the pricing listed above, prices are subject to change without notice. From I-40 W, take Exit 123 on Country Club Rd. Located north of I-40, two blocks on the right.